Tags can be used to group any number of keywords in a category, and each keyword can have multiple tags (possible usage: group keywords with a region or some kind of priority). When add in new keywords, new or existing tags can be attached to the keyword by ticking off "Add Tags". For existing keywords, tags can be added by selecting the checkboxes to the right of the desired keyword, then using the "Manage Selected Keywords" dropdown to select "Assign New Tags". 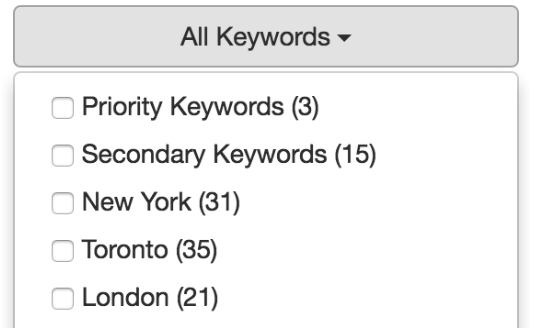 Once Tagged, you can easily flip through and filter the keywords by your existing tags. Tags can be removed once you are viewing the category by the filtered tag. 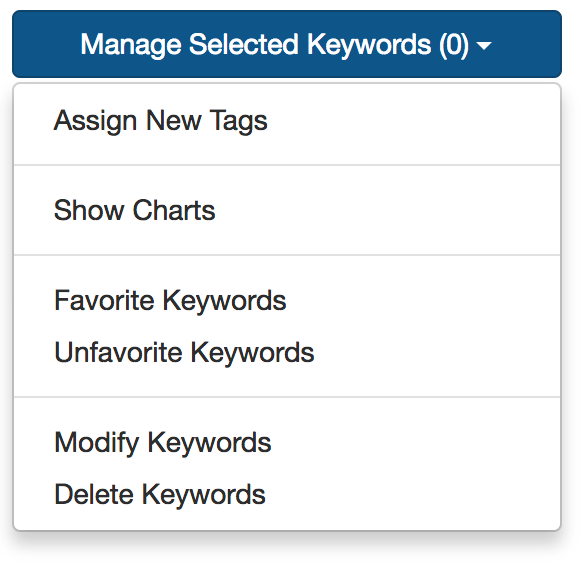 Simply check off the keywords you wish to remove the tags from, then using the "Manage Selected Keywords" dropdown to select "Remove from Tag".